Based on the thousands of campaigns we run at GetCraft, we provide lessons on how content marketing, influencer marketing, sponsored content, and native advertising can help grow your business. When asked about what content marketing is, we simply like to say that it’s about giving your potential consumers access to relevant information about your brand during all stages of the purchase funnel. Rather than sell, the goal of content marketing is to inspire, entertain and educate your audience with consistent, ongoing content—so that they eventually reward you with their business and loyalty. The prospect of producing this amount of content may seem daunting—but with large content marketing & sponsored content campaigns, brands can actually create up to 50+ individual pieces of unique content. But where do brands even start? How can they make the most out of the content they produce? Why should I invest in content marketing? What content marketing opportunities are available for my brand? What is the right type of story to tell about my brand? How much content should I create and how do I make sure I don't start sounding too boring or too hard-sell? How do I measure the effectiveness of all this work? 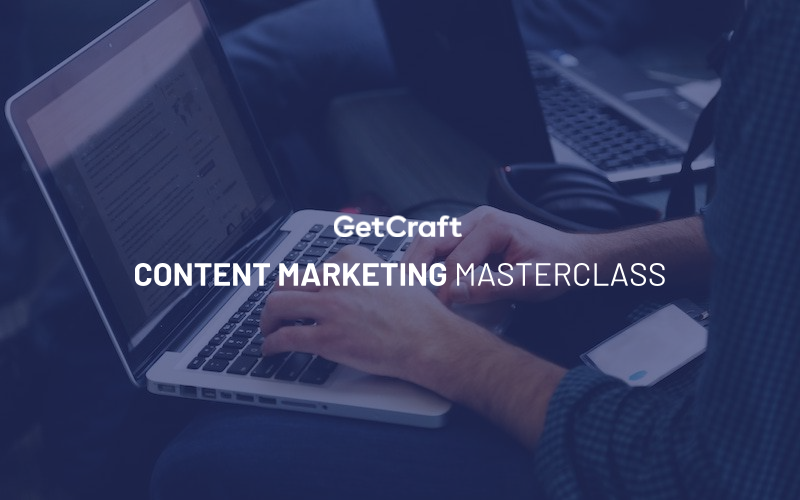 In this Content Marketing Masterclass Webinar, GetCraft’s Group CEO Patrick Searle shares how brands can create an effective content marketing strategy that will help boost overall marketing campaign performance.